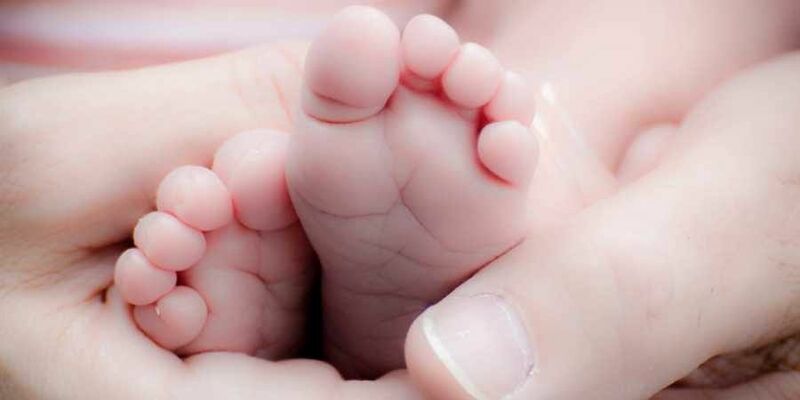 Several families in Ganjam, Jagatsinghpur and Nayagarh have named their newborn daughters as "Titli" because they were born either before the very severe cyclone's arrival. BERHAMPUR: As people in coastal belt of Odisha battled 'Titli', several mothers have rushed to name their newborns after the cyclone that left behind a trail of destruction in the state. Several families in Ganjam, Jagatsinghpur and Nayagarh have named their newborn daughters as "Titli" because they were born either before the very severe cyclone's arrival in the coast or after it made landfall. Twenty-year-old A Allemma of Paradip, who gave birth to twins at the sub divisional hospital at Chhatrapur at 6.05 and 6.12 am on Thursday, at the time of landfall of Titli at Palasa, wants to name the newborns 'Titli' which means butterfly in Hindi. "I want to name my daughters as Titli, said Allemma, who delivered the first baby when the cyclonic storm was crossing Odisha coast. Similarly, Bimla Das (29) of Plurugada, who also delivered a baby girl in the same hospital, wants to name her after the storm. The baby was born at around 7 am, said sub divisional medial officer, Chhatarpur, Kanhu Charan Patra. Titli is Bimala's third child, he added. In the community health centre (CHC) Aska, as many as nine babies were born between Wednesday night and 11 am of Thursday. All of them were girls. "We have decided to name the babies which were delivered after Wednesday midnight as Titli". said Mohan Barik, the gynecology specialist of the hospital. A baby was born to Gitanjali Gouda (20) of Kalasuta village at about 2.10 am, he said. The baby's parents gladly accepted the proposal and named one of the babies as Titli he said. At the CHC Hinjili, at least four babies were born since Wednesday evening. Manjari Jena (21) who delivered a girl at CHC Polsara also wanted to name her daughter Titli. She delivered the girl at about 12.55 am, sources said. Chief district medical officer (CDMO) Ganjam, Sadananda Mishra said they have admitted over 100 pregnant women in different hospitals in the district on Wednesday for safe delivery. Of them, at least 64 have delivered during the night hour and Thursday morning. Chief District Medical Officer *CDMO, Jagatsinghpur Ashok Pattnaik said: "I understand that the parents have named their new born daughters as Titli. It is a good name. Of the 18 women admitted ahead of cyclone, six have delivered babies." This is not the first occasion when the people of Odisha have named children after a cyclone.